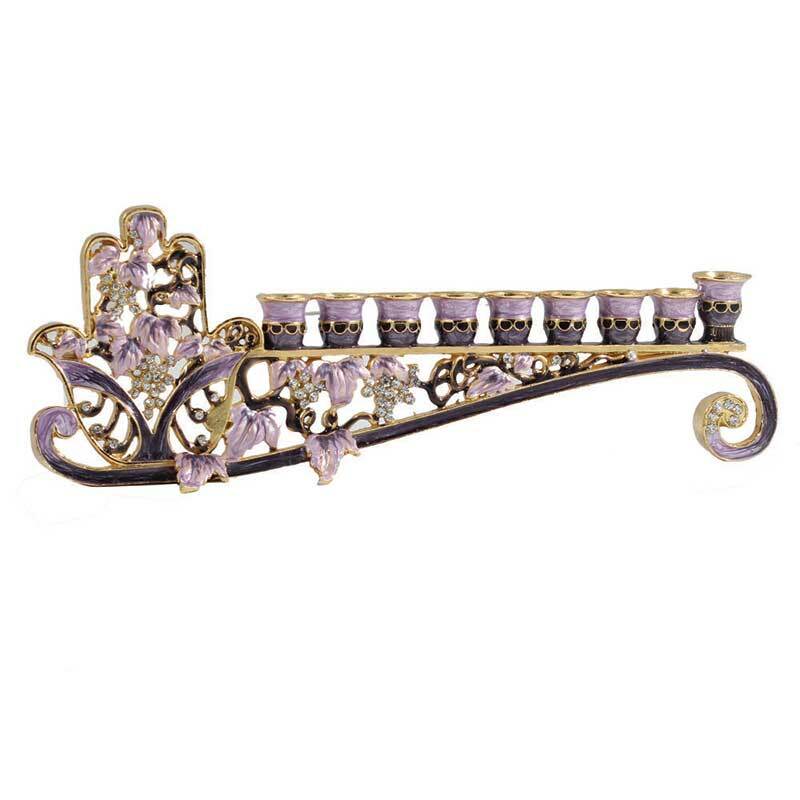 Artistic Jeweled Menorah - Lilac / Purple with Gold plating. A very unique and heartwarming style featuring a grapevine and Hamsa theme. This Menorah is hand painted with rich color enamel and set with crystals. Comes gift boxed.